Every teenager has hang ups about some physical aspect of themselves. Seventeen-year-old Sarah Burke is no exception. Bestowed with phenomenal intelligence, long blonde hair, mesmerizing blue eyes, a to-die-for best friend, and a close and loving relationship with her TV newscaster single mom, she would never want to change anything, right? Sarah would. Though her life is incredible, her one complaint and source of insecurity is her nose. Suffering from taunts about her huge proboscis, Sarah insists it is no big deal, even when, on the first day of school, her mom gives her a brochure for rhinoplasty. Disgusted, Sarah tosses the form aside with no further thought of undergoing the procedure her mom had when she was her age after enduring years of self-consciousness. The first day of the senior year, Sarah and her best bud, Kristen, meet a new student—a total hunk named Rock Conway. Something about Rock unnerves Sarah, and after a few minutes’ conversation with him, she is in love. Not only is he unbelievably handsome, but he also has brains! However, Rock’s first glance lands right on Sarah’s nose—giving her second thoughts about surgery. Unfortunately, Kristen sets her sights on Rock as well, so Sarah acquiesces to her friend. As they have been inseparable since third grade, Sarah would never hurt their friendship—even by confessing she likes the guy Kris wants. The trouble starts when Kristen realizes she is no match for Rock in the intelligence department. She begs Sarah to be her Cyrano by penning emails and Facebook posts to Rock under her name. Though Sarah feels this is deceitful, she does not want to let Kristen down; not that Kristen would let that happen, for what Kristen wants, Kristen gets. The inducement for Sarah to write these notes means a chance for her to get to know Rock better, though she is heartbroken to see him with her best friend. Will Rock fall for Kristen thinking she is on the same academic level as he? Will Sarah confide her feelings for Rock to her BFF? Will Sarah decide to go against her true self and go for that nose job? So many questions, so many dilemmas. Over the course of the story, Sarah matures as she learns a lesson in friendship as well as in self-respect. 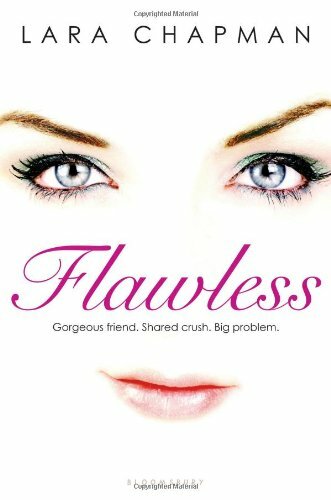 But one issue with Flawless is that it portrays both Sarah and Rock almost as “goody-goodies,” which is a bit hard to swallow. Are there really teenagers out there so selfless and compassionate and self-aware—in a positive way? If so, it’s a mystery as to why parents ever complain about the teenage years. This tale is sure to appeal to teenagers—for whom angst reigns and loyalty is paramount. A fictional debut worth perusing.